We are NICEIC approved domestic electricians. Our services are reliable and honestly priced, our people are friendly and professional, a pleasure to work with. We tackle major domestic electrical installations of every kind, right across Kent. Call now on 0808 1469 299 or 07763 736382 to talk about your needs and get a FREE quote. We’ll be delighted to help. We are NICEIC approved domestic electricians. Our services are reliable and honestly priced, our people are friendly and professional, a pleasure to work with. We tackle major domestic electrical installations of every kind, right across the South East. We are NICEIC approved commercial contractors offering all aspects of commercial electrical work. 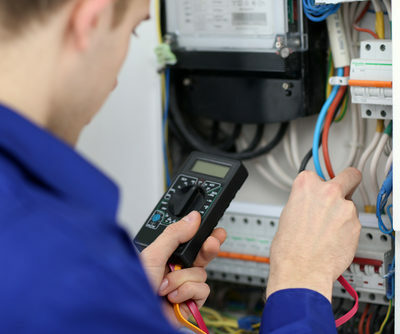 You can rely on us to carry out safe, expert installations. Using all of our considerable experience we aim to get it right first time, every time, at a fair price. Power cuts are nothing new, but our weather over the last few years has been highly unpredictable. And it is due to become more so as climate change continues to bite. 50,000 Britons were left without power on Christmas Day 2013, many for more than three days. How can you make sure your home or commercial premises remains powered despite our changing climate? The back up generator is an increasingly popular solution. Need PAT Testing? We have the right level of competency, the right equipment for the job, the knowledge needed to use the equipment properly and the expertise required to understand and analyse the test results. 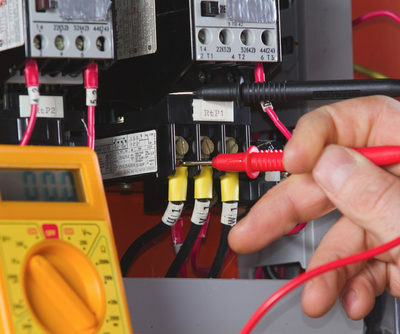 Electrical installation condition reports must be performed by competent electricians with experience in, and knowledge about, the type of installation they’re testing. That’s exactly what we do for our customers, reporting accurately on the condition of electric heating and lighting systems. The ‘internet of things’ is fast becoming a reality and smart homes are becoming more affordable as demand grows. We fit all sorts of exciting home automation packages to suit various budgets and needs. Everything from intelligent pathway lighting, where the lights turn on automatically as you enter a corridor, to opening your home’s blinds from your smartphone while you’re on holiday. Wherever and whenever you want to access the internet, TV, landline, ISDN, mobile phones, networks, security systems, computers or tablets, whether you’re at home or at work, you need high performance structured cabling systems. They’re the foundation you need for reliable CCTV, data and voice systems. If that’s what you want, we’ll be delighted to help.